Psalm 51: 5-6 My offenses truly I know them; My sin is always before me. Against you, you alone, have I sinned; What is evil in your sight I have done. The Holy Face Novena will begin this year on Sunday, February 8th, and end on Tuesday, February 17th (Mardi Gras Tuesday before Ash Wednesday). Pope Pius XII instituted this Feast Day in 1958. Below are two novenas that may be said, a short novena by Ven. Leo DuPont and the longer “Alpha-Omega Novena” by Bl. Mother Pierina De Michelli. 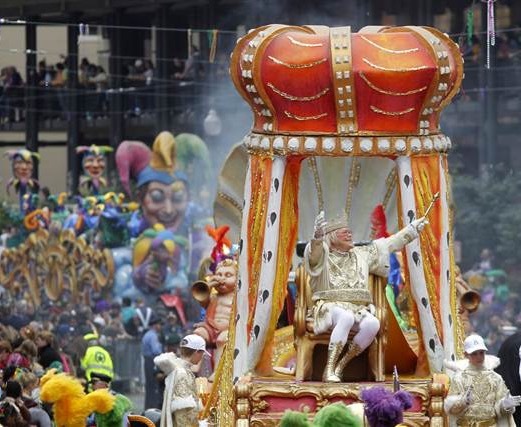 The Discalced Carmelite Secular Order in New Orleans invite the faithful to celebrate a Tri-duum of prayer before the Eucharistic Face of Jesus in the Blessed Sacrament each evening for three days leading to the Feast of the Holy Face on Mardi Gras night. 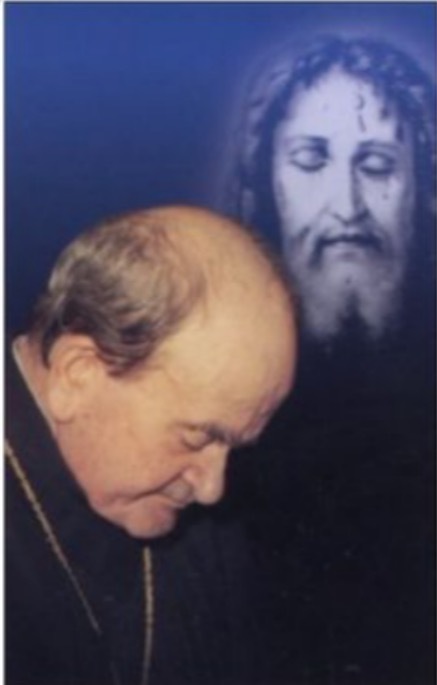 Prayers are offered in reparation to the Face of Christ, primarily for sins against the the first three commandments, which are against God Himself . . . although I dare say that during Mardi Gras in New Orleans, ALL the commandments are broken, and often! There are isolated “family” areas for Mardi Gras, children’s parades, “King Cakes” parties, and crawfish boils which are a happy family tradition for some but, unfortunately, these are few and far between. For the most part, the loud, raucous, pressing crowds lining the streets at the Mardi Gras parades fight with one another over cheap trash that is usually thrown out the next day. The parades are probably the tamest part of Mardi Gras; some of what goes with it can be very ugly and is best left unsaid. Personally, I’d rather spend a quiet evening with the King of Kings. Three years ago I worked up the courage to ask my pastor if our parish could have an evening of prayer and adoration for the Feast of the Holy Face and to my surprise he said, “yes.” This year will be our third year. The Blessed Sacrament is exposed, and for three hours, we have prayers, (we say most prayers listed in the “prayers” tab above) interspersed with periods of silence and Sacred Music. I’ve encouraged people to bring their personal favorite painting or picture of the Holy Face. They are all beautiful without exception! Confession is available throughout the evening, which is a wonderful preparation for Ash Wednesday. 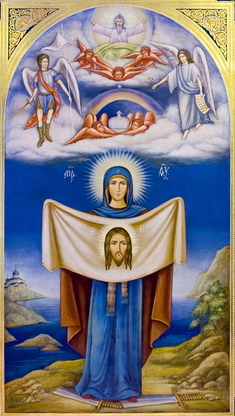 O Lord Jesus Christ, in presenting ourselves before Thy Adorable Face, to ask of Thee the graces of which we stand most in need, we beseech Thee, above all, to give us that interior disposition of never refusing at any time to do what Thou require of us by Thy holy commandments and Thy Divine inspirations. O good Jesus, who has said: “Ask and you shall receive, seek and you shall find, knock and it shall be opened to you,” give us, O Lord, that faith which obtains all, or supply in us what may be deficient. Grant us, by the pure effect of Thy charity and for Thy eternal glory, the graces which we need and which we hope to receive from Thy infinite mercy, particularly (here mention the favor desired). Be merciful to us, O God, and reject not our prayers when, amid our afflictions, we call upon Thy holy Name and seek with love and confidence Thy adorable Face. We thank Thee, O Lord, for all Thy benefits, and we entreat Thee to engrave in our hearts feelings of love and gratitude, putting upon our lips songs of thanksgiving to Thy eternal praise. Amen. Have mercy on me, O God in your goodness, in your great tenderness wipe away my faults; wash me clean of my guilt, purify me from my sin. 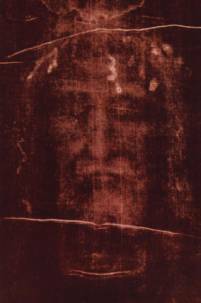 O most Holy Face of Jesus, look with tenderness on us who are sinners. You are a merciful God, full of love and compassion. Keep us pure of heart, so that we may see Thee always. Mary, our mother, intercede for us. Saint Joseph, pray for us. O Jesus! Cast upon us a look of mercy; turn your Face towards each of us as you did to Veronica; not that we may see it with our bodily eyes; for this we do not deserve, but turn it towards our hearts, so that, remembering you, we may ever draw from this fountain of strength the vigor necessary to sustain the combats of life. Amen. our Mother, and St. Joseph, pray for us. 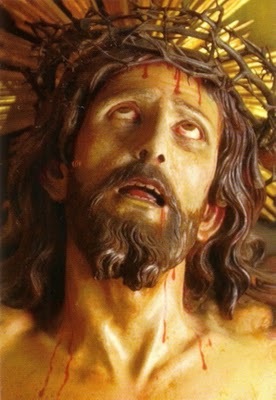 Holy Face of Jesus, Sacred Countenance of God, how great is your patience with humankind, how infinite your forgiveness. We are sinners, yet you love us. This gives us courage, for the glory of your Holy Face and of the Blessed Trinity, hear and answer us. Mary our Mother, intercede for us, St. Joseph, pray for us. Dear St. Joseph! Adopt us as thy children, take charge of our salvation; watch over us day and night; preserve us from occasions of sin; obtain for us purity of body and soul, and the spirit of prayer, through thy intercession with Jesus, grant us a spirit of sacrifice, of humility and self-denial; obtain for us a burning love for Jesus in the Blessed Sacrament, and a sweet, tender love for Mary, our Mother. St. Joseph, be with us in life, be with us in death and obtain for us a favorable judgement from Jesus, our merciful Saviour. Amen. Give me again the joy of your help, with a spirit of fervor sustain me, that I may teach transgressors your ways and sinners may return to you. Lord Jesus! After contemplating Thy features, disfigured by grief, after meditating upon Thy passion with compunction and love, how can our hearts fail t be inflamed with a holy hatred of sin, which even now outrages Thy Adorable Face! Lord suffer us not to be content with mere compassion, but give us grace so closely to follow Thee in this Calvary, so that the opprobrium destined for Thee may fall on us. 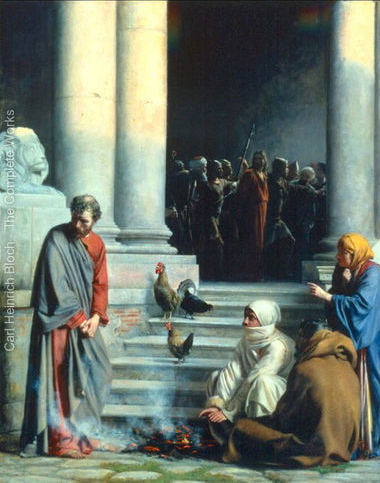 O Jesus, that thus we may have a share, small though it may be, in expiation of sin. Amen. O rescue me, God my helper, and my tongue shall ring out your goodness. O Lord, ope my lips, and my mouth shall declare your praise. O glorious St. Peter, who in return for thy lively and generous faith, thy profound and sincere humility and thy burning love, was honored by Jesus Christ with singular privileges, and in particular, with the leadership of the other apostles and the primacy of the whole church, of which thou was made the foundation stone, do thou obtain for us the grace of a lively faith, that shall not fear to profess itself openly in its entirety and in all of its manifestations, even to the shedding of blood, if occasion should demand it, and to the sacrifice of life itself in preference to surrender. Obtain for us likewise a sincere loyalty to our Holy Mother the Church. Grant that we may ever remain most closely and sincerely united to The Holy Father, who is the heir of they faith and of thy authority, the one true visible head of the Catholic Church. 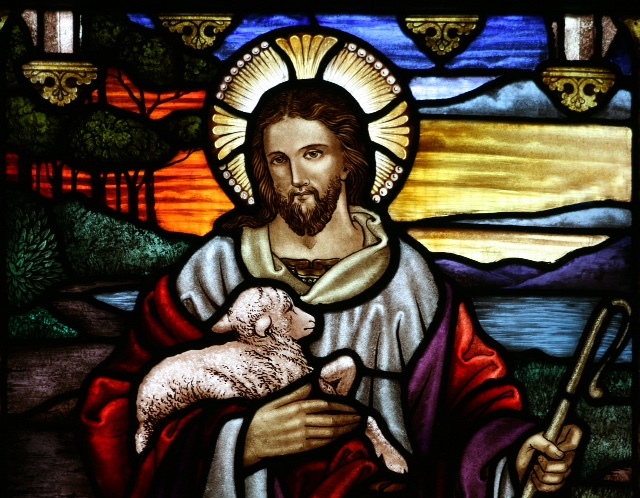 Grant moreover, that we may follow, in all humility and meekness, the Church’s teaching and counsels and may be obedient to all her precepts, in order to be able here on earth to enjoy a peace that is sure and undisturbed, and to attain one day in heaven to everlasting happiness. Amen. O Lord Jesus, we believe most firmly in You, we love You. You are the Eternal Son of God and the Son Incarnate of the Blessed Virgin Mary. You are the Lord and Absolute Ruler of all creation. We acknowledge You, therefore, as the Universal Sovereign of all creatures. You are the Lord and Supreme Ruler of all mankind, and we, in acknowledging this Your dominion, consecrate ourselves to You now and forever. Loving Jesus, we place our family under the protection of Your Holy Face, and of Your Virgin Mother Mary most sorrowful. We promise to be faithful to You for the rest of our lives and to observe with fidelity Your Holy Commandments. We will never deny before men, You and Your Divine rights over us and all mankind. Grant us the grace to never sin again; nevertheless, should we fail, O Divine Saviour, have mercy on us and restore us to Your grace. Radiate Your Divine Countenance upon us and bless us now and forever. Embrace us at the hour of our death in Your Kingdom for all eternity, through the intercession of Your Blessed Mother, of all Your Saints who behold You in Heaven, and the just who glorify You on earth. O Jesus, be mindful of us forever and never forsake us; protect our family. O Mother of Sorrows, by the eternal glory which you enjoy in Heaven, through the merits of your bitter anguish in the Sacred Passion of your Beloved Son, our Lord Jesus Christ, obtain for us the grace that the Precious Blood shed for us in vain. We love you, O Mary. Embrace us and bless us, O Mother. Protect us in life and in death. Amen. Glory to the Father, and to the Son, and to the Holy Spirit. As it was in the beginning, is now, and will be forever. Amen.